We’ve put off tending to our little landscape pond this spring for longer than we probably should. Part of that is because it was still frozen solid just a couple of weekends ago. The reality is, we would have been a lot better off if we had given the pond more attention way back last fall. I failed to take a picture of the pond before starting, and thus missed a wonderful opportunity for the classic “before/after” comparison, so you’ll just have to take my word for how neglected it looked. The primary plant already growing in the pond before we arrived here was variegated sweet flag. It has shown itself to be very happy with our location, expanding its reach in the last few years to an amazing degree. The old shoots were a dreary mess, along with a thick carpet of dead leaves and pine needles. We spent most of the afternoon yesterday pulling dead and decaying organic matter out of the pond, along with all the swampy odors that come with that. Cyndie heroically wrestled to prune out the unrestrained expansion of the sweet flag in hopes of being able to see more water than grass this summer. I gathered the pump and filter paraphernalia from the garage shelf and got it reassembled and reinstalled. 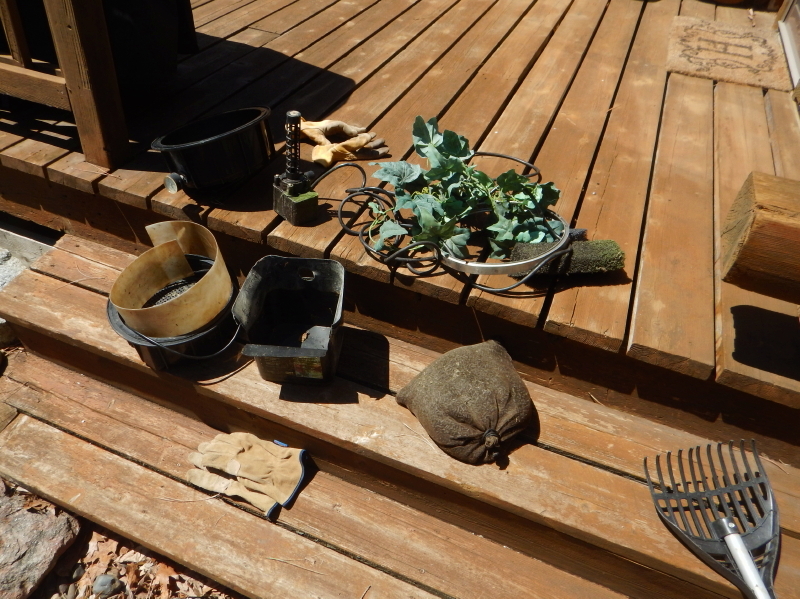 We rearranged rocks, trimmed tree branches overhead, and by dinner time, achieved a much less neglected looking pond. The serenade of falling water has returned to compliment the constant chirping of night frogs for our evening soundtracks. 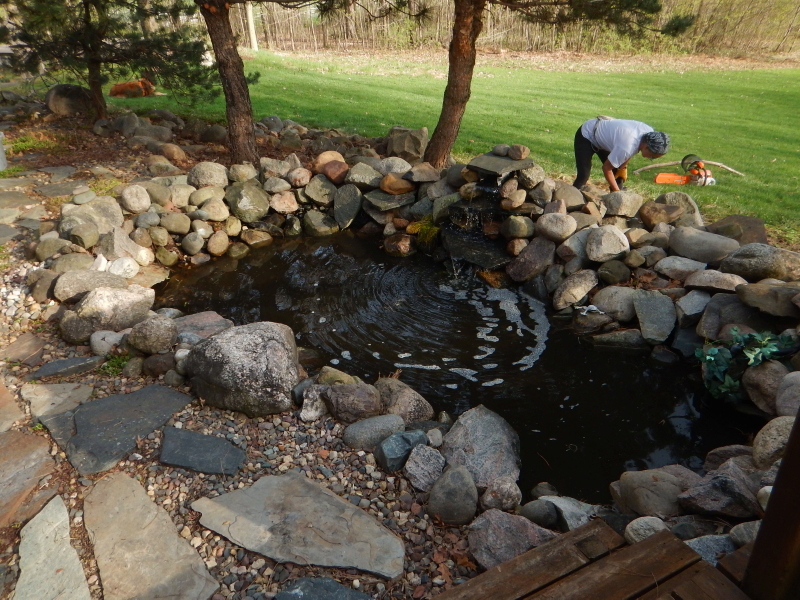 It seemed like a lot of work for one little pond, but given that it was done in a day and now looks ready for the summer, we decided it was a reasonable effort to put forth. In a few weeks, we should be able to see new sprigs of variegated sweet flag poking up out of the water from what remains of the big cut back yesterday. Based on our experience here, I’m pretty sure we won’t wait so long next time to prune back the prolific advance of these happy plants.